Sous Chef position at new restaurant in Spring of ’83, The Ginger Man Wine Bar in Albany New York. Hawaii 5-0 garnered great reviews from the Village Voice and a dish I prepared was listed as one of the best of the year by The New York Times. The East Village was a bit rough in those days, yet a serious party most nights. Tempted as I was to stay on and not finish my degree, I returned to The CIA hoping my degree and experience would lead to a position in Europe. It did, but I was one of the first CIA grads to figure out how to get myself considered. It didn’t hurt that I spoke a bit of German from my days as a fifteen year-old student in a Heidelberg Gymnasium. So during the fall of 1985, I sent out hundreds of resume’s to restaurants in German speaking countries. From that I got two offers, one from the Eurotel in Badgastein, Austria and one from the Schweizerhof in St. Moritz, Switzerland. Both of these were incredible experiences both culturally and culinarily. Plenty of wild adventures in the kitchens, towns and ski slopes where had. My trip home to the USA featured trains, planes and a bicycle. This is where I really started my vinous adventures. I bicycled from St. Moritz to London via, Chur, Zurich, Basel, Colmar, Nancy, Champagne, Paris, Nantes, Bordeaux (to pick Sauternes), and then to the ferry in La Havre. After some lousy jobs back in Metro NY as Sous Chef, Executive Chef, etc. I started school again to gain knowledge for opening my own restaurant someday. While attending The University of New Haven for Restaurant and Hotel Management I worked as a bartender at Richters and Wine Director at The Madison Beach Club and also met my future business partner Melissa. The first official wine job I got was with Lauber Imports handling all of Long Island, NY for three years, all while consulting for restaurants (The American Hotel & 75 Main Street) in the Hamptons. I knew I was going to be back in the restaurant business someday, so eventually I passed some Sommelier Classes and applied for Sommelier Jobs in New York. 1997 I became a Sommelier at The 21 Club. This was a battle and I lasted until just after the new decade and millennium started. I left with hopes of starting an on-line wine and food web business, noblewines.com After the tech crash of 2000 and 9/11, noblewines became a consulting company doing wine sourcing, training and advising to restaurants, stores, Importers and Distributors. With the exception of one stint at Winebow Imports, the remaining adventures happened through my noblewines.com inc. business or my new incarnation Edelewyn Inc. Today noblewines.com is owned by Vineclub.org LLC and I am only a 20% owner. Robert Gregory the other owner is currently working on making those businesses real or subsidiary of his Importing Company, Sidecar. Sidecar is a venture that I and a few others helped set-up to support the Vineclub.org venture. This is still a developing theme. As a wine business consultant I have trained and developed programs at many top retail and restaurant clients establishments. 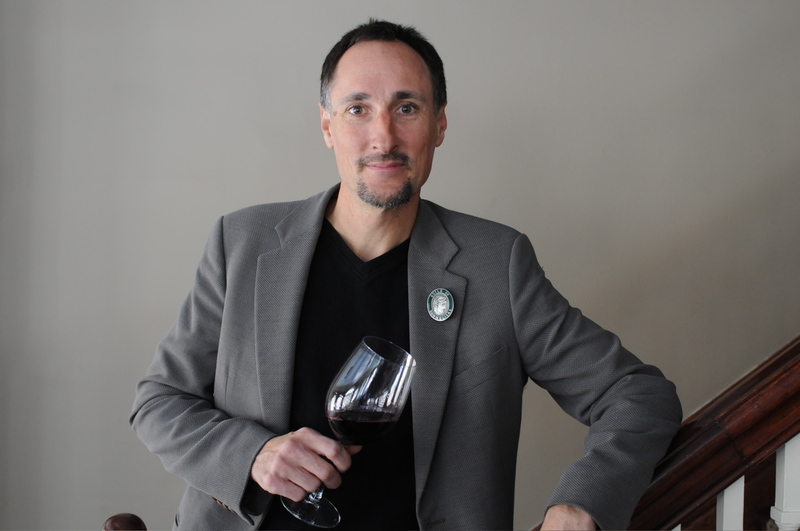 From 2003 until 2009, I was the Wine Educator for Sherry-Lehmann Wine Merchants. I also put on a wine education programs for Martin-Scott Wines, Corterra (now Spire/Jackson Family Farms…), Sommelier Society of America, Sommelier Wine Academy, c/o The Maidstone, Hamptons Wine Shoppe, Ruvo Restaurants, The Stone Creek Inn, 1770 House, Starr Boggs, Legends Cafe, Carltun on The Park, Roberts of Watermill, Topping Rose House. Many of my former students are prominent members of the wine trade today.